Identifying increasing disaster risks and costs, Budget 2014 earmarked $200 million over five years, from 2015 to 2020, to establish the National Disaster Mitigation Program (NDMP) as part of the Government of Canada's commitment to build safer and more resilient communities. NDMP will sunset on March 31, 2020. The NDMP addresses rising flood risks and costs, and builds the foundation for informed mitigation investments that could reduce, or even negate, the effects of flood events. Advancing work to facilitate private residential insurance for overland flooding. Provincial and territorial governments are the eligible recipients for funding under the NDMP. However, provincial and territorial authorities may collaborate with, and redistribute funding to eligible entities, such as municipal or other local governments, public sector bodies, private sector bodies, band councils, international non-government organizations or any combination of these entities. Communities and municipalities who are interested in the NDMP proposal submission process should contact their appropriate Provincial/Territorial government department or ministry as early as possible to discuss its internal process in regards to the NDMP. Of the NDMP's $200 million, an allotment of approximately $183 million for NDMP projects is cost-shared with the provinces and territories (up to 50 per cent for eligible provincial projects and up to 75 per cent for eligible projects in the territories). Projects will be selected for funding through a competitive, merit-based process using objective and measurable criteria. Public awareness and engagement activities. This stream provides funding for the completion of risk assessments to inform flood risks. Risk assessments are the foundational step in disaster mitigation. 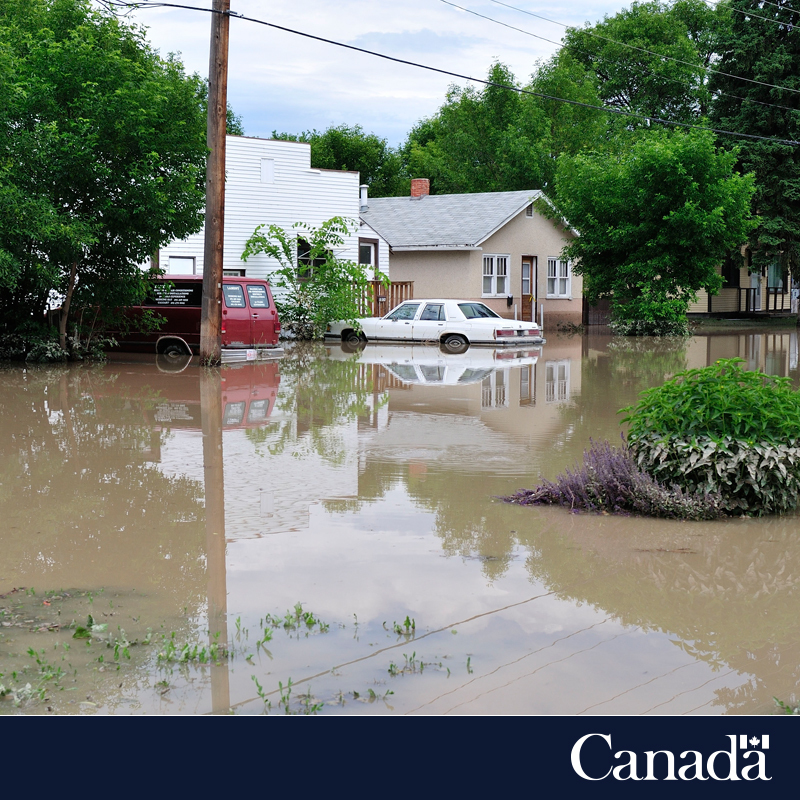 These risk assessments will identify flood hazards, potential impacts, and community and infrastructure vulnerabilities, as well as the overall flood risk profile for the area. This stream provides funding for the development and/or modernization of flood maps. A flood map identifies the boundaries of a potential flood event based on type and likelihood, and can be used to help identify the specific impacts of a flood event on structures, people and assets. In general, provinces and territories can access any funding stream; however, there must be evidence to indicate that proposals are evidence-based. For example, applicants for flood mapping funding must indicate that their perceived need for flood mapping was informed by a risk assessment. Applicants for mitigation planning must demonstrate that their proposals reflect a need to prevent or mitigate identified and significant flood risks. Further, provinces and territories can apply to access different streams of funding for different projects. The deadline for provinces and territories to submit NDMP proposals to Public Safety Canada for funding for 2019-2020 is October 31, 2018. Provincial and territorial authorities can apply for funding under any of the four funding streams by submitting their NDMP project proposals to the appropriate Public Safety Regional Office. Provinces and territories may also direct any questions to their appropriate Public Safety Regional Office. Projects submitted for this last Call For Proposals must be completed by March 31, 2020. The NDMP Project Proposal Form can be found in the "Resources" section below.